Home Adaptations Praying Mantis Camouflage – How Do Praying Mantis Protect Themselves? 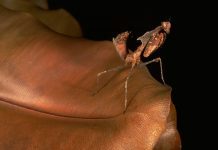 Praying Mantis Camouflage – How Do Praying Mantis Protect Themselves? Praying mantis are amazing-looking creatures with slender legs and intimidating bulging eyes. It goes without saying that mantids are voracious predators yet they do possess some of the most effective antipredator mechanisms one that can thwart their predators. Camouflaging is one of them. That’s right, praying mantis largely protect themselves by camouflage. Let’s take a look at this amazing ability of a formidable predator. Most, if not all, praying mantis display green body and their plumage is so cryptically colored that it’s extremely difficult to detect one even if it’s perching right in front of you. Mantis typically sits atop green grass or foliage which provides them with perfect camouflage. 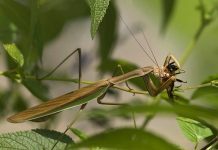 The praying mantis almost gets disappeared into the tall grass. The female mantis are thought to bluff their predators by displaying their abdomen and raising their forelegs. They have claws attached to their forelegs. But camouflage is still the most effective defense for these stick insects. Nonetheless, not all mantis are cryptically colored. Some of the mantis exhibit a combination of brown and green colors with some shades of gray. They will usually stay on bare ground but these species make sure that their bodies do not cast shadow on the ground so the predator detects them. Instead, they likely flatten their bodies leaving no room for shadows. Flowers mantis largely spend time on flowers. A few species however are capable to take on black color soon after molting. This is particularly true for species inhabiting Africa or Australia where dry season is quite a norm. The transformation to black-colored bodies allows them to camouflage into the bush fires. What Do the Praying Mantis Do When they See the Threat? The praying mantis is most likely to spread all its legs and wings and sometimes displaying their abdomen. They do so in order to make look bigger to the predator. The back side of the mantis wings is dominated with bright colors or patterns. These patterns give mantis an altogether different look when they fan out their wings. However, if none of their defenses worked then mantis will launch the final attack using its forelegs. Sometimes they may also produce hissing sounds. Unfortunately, praying mantis do not have any chemical defense against predators so most of the time they fool their predators. At night mantis are able to detect echolocation sounds emitted by bats. If the clicking sound increases rapidly it’d mean that the bat is approaching. The mantis will then cease to fly. Praying mantis cannot run or fly but they do possess a better recourse that is rocky movements. In rocky movements, the mantis moves sideways probably in a repetitive manner so as to deceive its predators. They do this especially when ants or arthropods attempt to prey on mantis. Praying mantis can also perform mimic ants to bluff ants. Yager, D.; May, M. (1993). “Coming in on a wing and an ear”. Natural History. 102 (1): 28–33. Edmunds, Malcolm; Brunner, Dani (1999). “Ethology of Defenses against Predators”. In Prete, Fredrick R.; Wells, Harrington; Wells, Patrick H.; Hurd, Lawrence E. The Praying Mantids. Johns Hopkins University Press. pp. 282–293. ISBN 978-0-8018-6174-1. “Praying Mantis Uses Ultrasonic Hearing to Dodge Bats”. 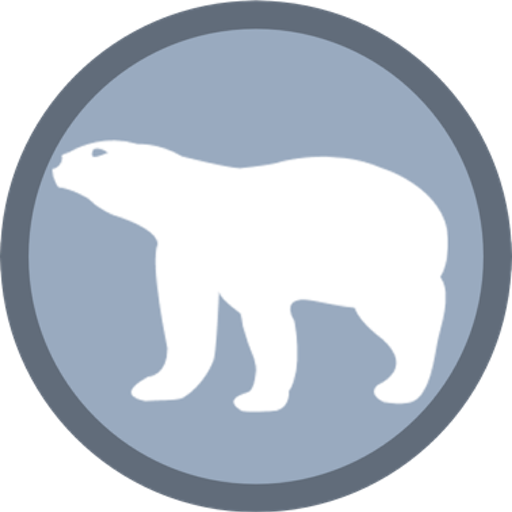 National Geographic Society. Retrieved 17 August 2012. Can Praying Mantis Fly? – Do Praying Mantis have Wings?